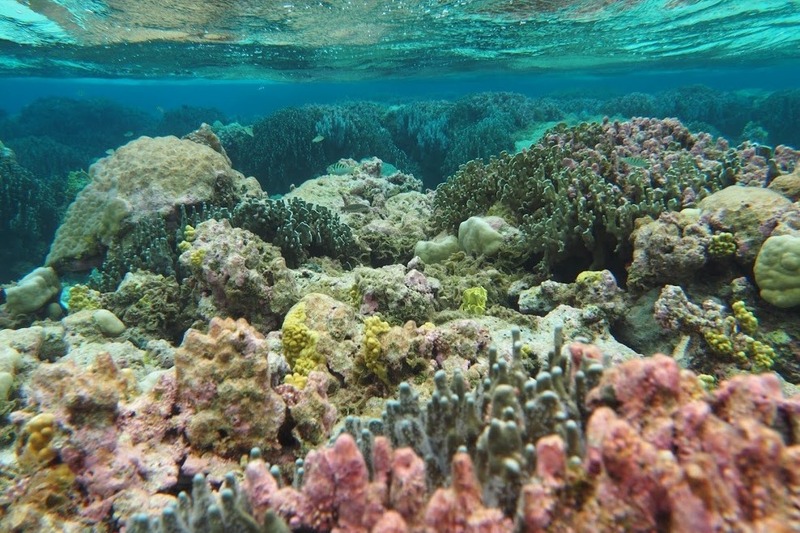 One People One Reef (OPOR) is a group a of communities and scientists working together to keep the coral reefs, culture and people of the Micronesian Outer Islands healthy. We are bringing traditions and modern science together in a revolutionary approach to sustainable ocean management. Our work began on Ulithi Atoll, Yap State, Federated States of Micronesia in 2008 and has now expanded, across Yap State and into neighboring Chuuk State, by request of island communities. Bluecology's mission is to preserve marine wildlife and ecosystems through community-based programs which foster informed choices that will reduce adverse human impact on the marine environment. Bluecology advances marine conservation through development of educational materials and opportunities for hands-on field experiences that encompass a broad view of the interconnections among human societies, marine life, and global changes. 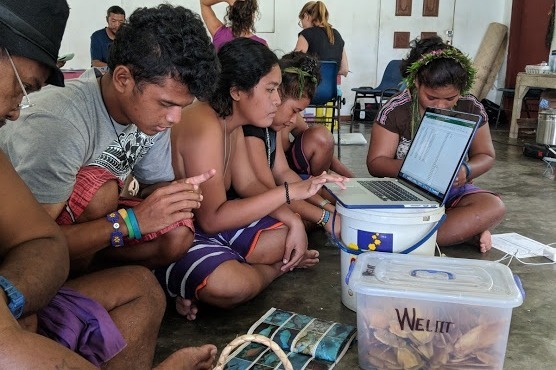 The community on Ulithi emphasized early on that engaging their young people in OPOR’s sustainable ocean management work would be a key component in its success. 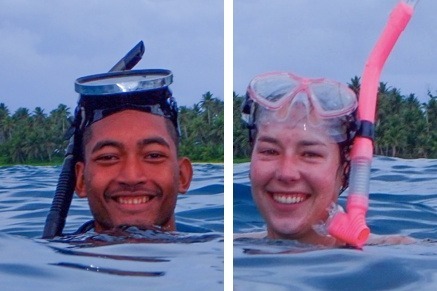 So each summer since 2015, students from Ulithi and visiting students from California have taken part in the Youth Action Project , where they spend three weeks working in collaboration on a mixture of coral reef science, conservation, and community projects, led by a team of local teachers and community leaders and a US based coral reef ecologist. 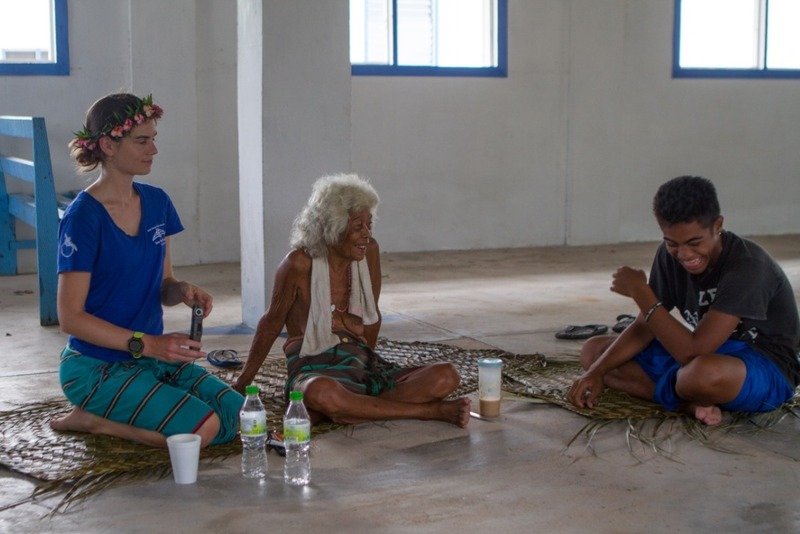 This year the group participated in a National Geographic Society funded project interviewing community elders about traditional stories related to ocean management, which are then interwoven with the scientific stories, and returned to the communities as audio stories to be shared in schools and community meetings. "The message that will stay with me for the years to come is to value the nature and what it has given us to live on...The life in the water depends on the land and so does the land depend on the water." The students gain an appreciation of the importance of both scientific methods and traditional practices in coral reef management. The Ulithian students also see their reefs from a new perspective – through the eyes of newcomers in their own age group. They engage in new ways with questions of reef management and conservation, and their own role in the reefs’ and their community’s future. Around 60% of the participants in the Youth Action Project are local residents. 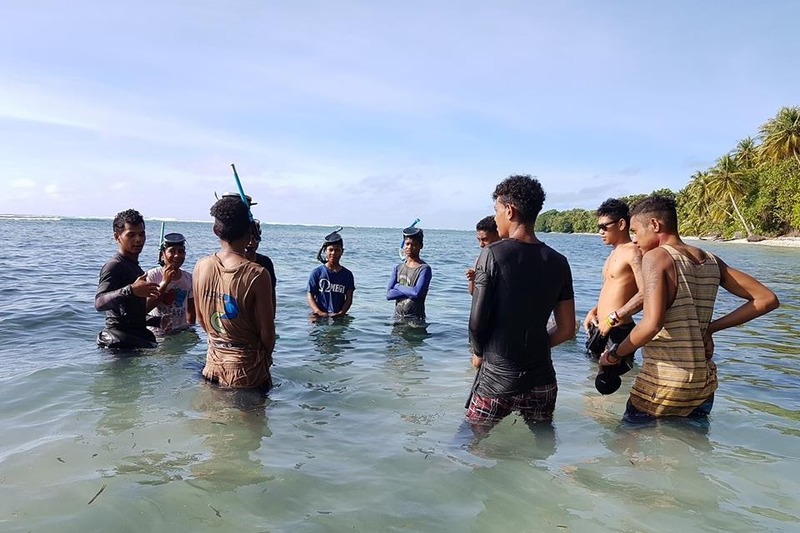 Though Ulithi youth have lived on small islands all of their lives many have not experienced their reefs just offshore or formed their own personal connections and understanding. 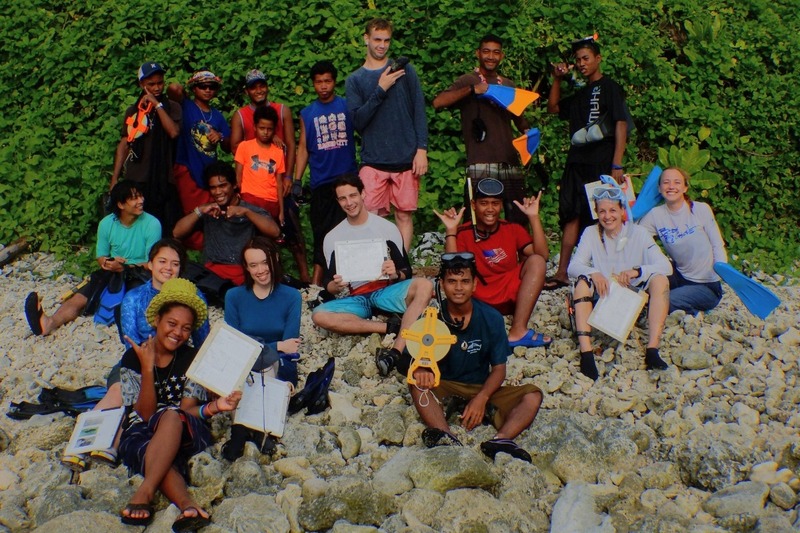 The Youth Action Project is the only one that involves young people from the US and Micronesia in hands-on science and cultural immersion to experience for themselves the value of combining local knowledge and traditional management with modern science when addressing environmental challenges and potential solutions. We are creating a scholarship fund to support the Youth Action Project, and its mission of developing future leaders in ocean sustainability. Previous participants are already taking leadership roles in One People One Reef’swork, for example working with the science team on expeditions to other outer islands, and leading the first Youth Action Project on neighboring Woleai Atoll. 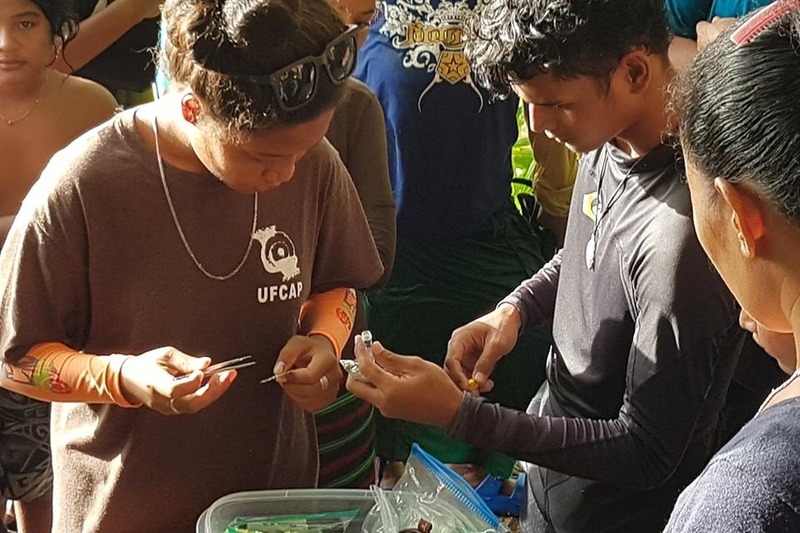 Involving youth in this way - actively engaging them in critical aspects affecting the future of their natural and cultural environments - will foster strong, knowledgeable Ulithian leaders. For 2019, we are seeking to raise $8,000. Costs for one Ulithian student to participate in the project are $1000. This covers leadership costs (both local and of the US based coral reef ecologist), transportation between the islands, meals, and project supplies. Our goal is to raise these funds by end December 2018.